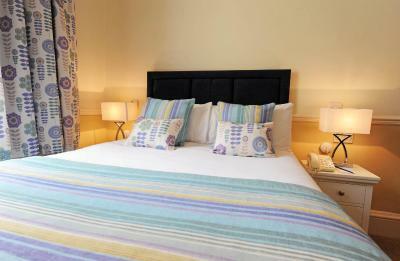 Lock in a great price for Atlantic Hotel – rated 9.5 by recent guests! We are frequent visitors to The Atlantic. Its is always great, lovely staff and facilities, pool facilities really could not be better for us. Rooms are quiet and comfortable, really can't ask for any more. Good value for money considering its class. Staff were exceptionally friendly. The hotel was beautiful and the location was absolutely stunning. The pool in the Health Spa was a real treat. The service at the bar was great and overall the experience was really relaxing. Would definitely reccomend! Friendly but professional attitude of staff, standards of cleanliness, breakfast excellent and superb location! This is the first time we have booked in to this hotel. We felt at home the moment we walked through the door as it was a cold rainy afternoon but the hotel enveloped us with its warmth both in temperature and greeting. We had asked for a quiet room and this is exactly what we got, again the room was just the right temperature and the room was spotless. It is very rare to find a hotel which caters at Breakfast for people who like Bircher Muesli but this one did. We liked it so much that we have already reserved the same room for next year. 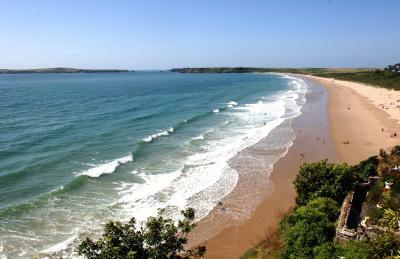 This hotel with cliff-top terraced gardens has excellent views of the sea and panoramic views of the spectacular sweep of South Beach and Caldey Island. 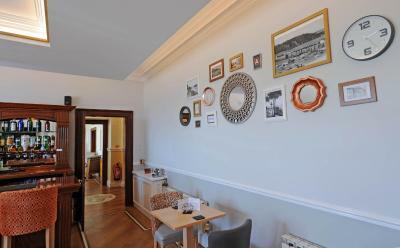 There is free WiFi access in rooms and public areas. Relax in the lounges which also overlook South Beach and Caldey Island, and unwind in the newly refurbished health spa with indoor, heated saltwater swimming pool. The spa also has a spa bath, steam room and heated loungers. 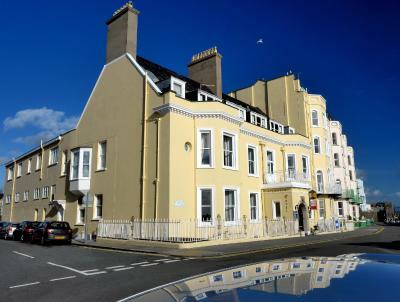 The Atlantic Hotel enjoys one of Tenby's finest locations, and all its bedrooms are non-smoking with private bathrooms. A elevator serves 40 of the rooms up to the 2nd floor. 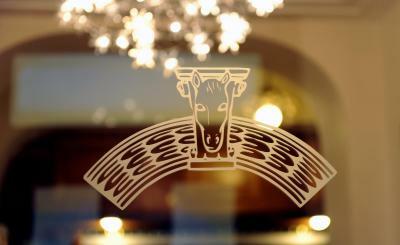 Dine in the relaxed ambiance of Salt Cellar Restaurant, under separate management. Adjacent to the hotel there is a car park for 28 cars with CCTV. Each room benefits from its own TV and an private bathroom. Babies and children cannot be accommodated in this room. Each room benefits from its own TV and an private bathroom. This room includes free WiFi access. Deposit will be taken on the day of booking. Was disappointed that the Health Spa didn't have a gym. There are no lockers in the changing rooms and the changing room is very small. The breakfast. The pool. The staff. The bed was comfy. 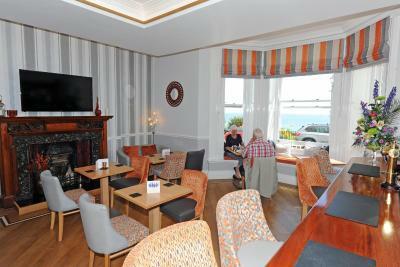 We are frequent visitors to the Atlantic Hotel when we fancy a break and it never disappoints. Nice quiet hotel for sleeping, great pool and spa facilities and all the staff are always so helpful and pleasant. Our rooms have always been very clean and comfortable. Good location near to town for shopping, pleasant walk along the beach or to the castle. Excellent breakfast included, tasty, hot (no tired sausages and congealed eggs) and plenty of alternative choices if you want different or healthy. It's a five star place for us so very good value.